Take a Custom Tour with us! Butler Design Group as Architect of Design and Corgan Architects as the TI Architect. 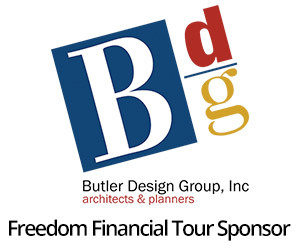 We will get an hour tour of the beautiful Freedom Financial structure at the Loop 101 and 202. After the tour we will meet at the Keg for cocktails, to network and answer some select quiz questions about the tour. Contact Bobbi Jo Huskey (602) 390-3599 or bobbijo@partitionsco.com for additional information.